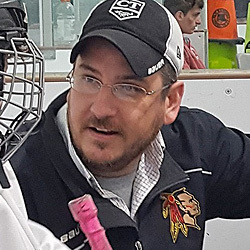 Youth Hockey: Should You Play "Up"? On the record, I'm against it. Unless you're of Gretzky, Ovechkin, Crosby, McDavid, or Matthews calibre, you should really stick to playing with your own age group. In reality, though, my oldest plays "up". So take what I just said above with a grain of salt. As most reading this would already know, ice hockey is a sport that you need to start early in order to excel. If you start late, it's really, really, tough to catch up. But you can also start "too" early -- and that's what we did. My two oldest could skate, like, legit skate when they were four years old, you know, when most other kids are lacing up their skates for the very first time or signing up for learn to skate classes. I held Duncan, my oldest, back for one season as a 5 year old to play with kids his own age and it was a mistake. Huge mistake and a year lost when it comes to development. 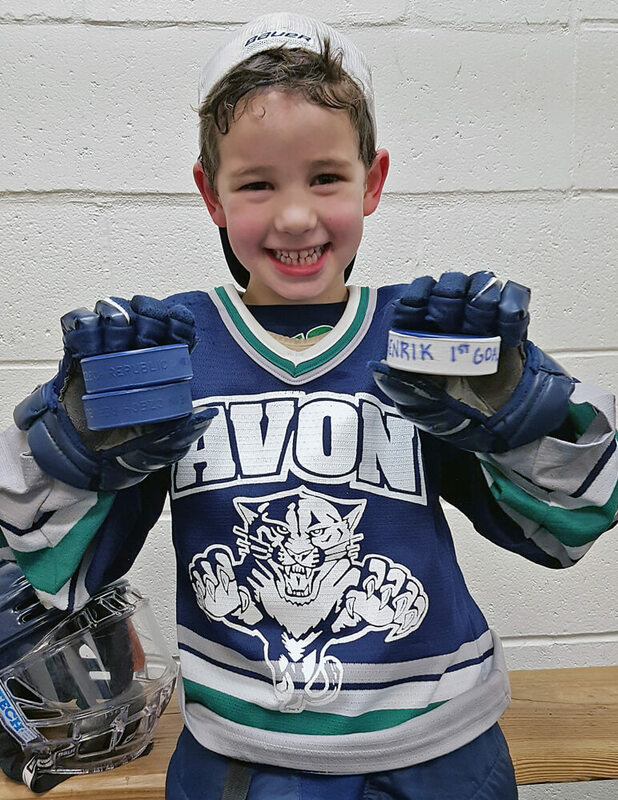 The following season, though, he thankfully skipped the level he should have been in and jumped right into mites as a 6 year old (which is technically a year early). My middle son, Henrik, is following suit by playing "up" for his age, as well. Yes, we're that family that always has to ask for the programs they sign up for to "open up" the registration for kids a year younger. Anyway, after two seasons of playing travel hockey as a mite, Duncan moved up to be a a squirt -- like most kids would...except he's still a year too young to really be a squirt. It wasn't how I really wanted things to shake out...but he literally didn't have an appropriate team to play with at his age level. After a few sleepless nights trying to come to terms with it, I'd convinced myself (and my wife) that playing "up" will work out in the long run. Afterall, three seasons at the squirt level (I don't expect him to go to peewee with his teammates as an underager) is probably better than three seasons at the mite level would have been, developmentally -- provided he doesn't get discouraged playing on the third line for another season. And that's the kicker. In pick up events or tournament teams with kids his own age, he dominates. Like, running away with the league scoring title type of success. On his regular team, though, he's near the bottom of the depth chart and struggles to chip in more than a goal or two per season. But that's the reason he's so successful with the appropriate age group... In two more years, he'll look like a peewee (ages 11 and 12) playing with kids that have just come up from a cross-ice mite program. Henrik, the middle one, will likely play three seasons at the mite level instead...but watch out, he'll be nasty when that final season comes around. Vicariously, I can not wait until the 2019-2020 season when my two oldest will be filling up the scoresheet on their respective teams while my youngest will likely be suiting up for his first season of travel hockey. In a twist, my oldest was also extended the opportunity to skip the first grade -- an offer that we turned down. Academically, we knew he could handle it. Socially, we knew he could handle it too. Physically? Well... let's just say that we foresaw that it would be a HUGE disadvantage to be nearly two years younger than his peers once high school rolled around...and that sealed the deal. Ironic, though, that he plays hockey with kids that in that age bracket anyway.